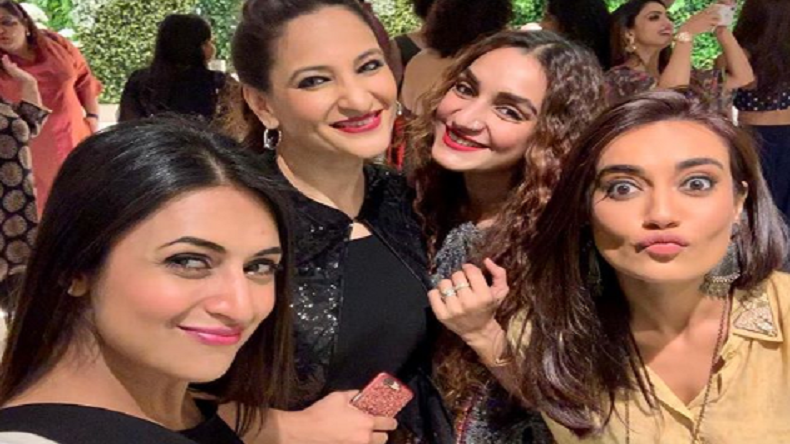 Divyanka Tripathi, Surbhi Jyoti, Rakshanda Khan photo: Popular television actress Divyanka Tripathi Dahiya's latest Instagram photo in which she is seen posing with television actresses such as Rakshanda Khan and Surbhi Jyoti has gone viral on social media. Have a look! Divyanka Tripathi, Surbhi Jyoti, Rakshanda Khan photo: Yeh Hai Mohabbatein fame Divyanka Tripathi shared a stunning photo on her official Instagram account on Tuesday morning and the picture has set social media on fire! In the photo, we see Divyanka Tripathi Dahiya posing with television beauties Rakshanda Khan and Surbhi Jyoti. In the photo, we see Divyanka Tripathi dressed in a black dress and all the television beauties are smiling in the photo which has been breaking the Internet! Divyanka Tripathi Dahiya is one of the most popular television actresses who is best known for the role of Dr Ishita Bhalla in Ekta Kapoor’s popular daily soap Yeh Hai Mohabbatein and is one of the highest paid television actresses. Divyanka Tripathi Dahiya has previously worked in several daily soaps such as Chintu Chinki Aur Ek Badi Si Love Story, Banoo Main Teri Dulhann, Teri Meri Love Stories, among many others. She will be soon be seen in ALT Balaji’s romantic web-series Coldd Lassi Aur Chicken Masala which also stars Rajeev Khandelwal and will mark her digital debut. Divyanka Tripathi is one of the most loved television actresses and is a household name as well. Married to television actor Vivek Dahiya, Divyanka Tripathi has a huge fan base on social media and across the country.